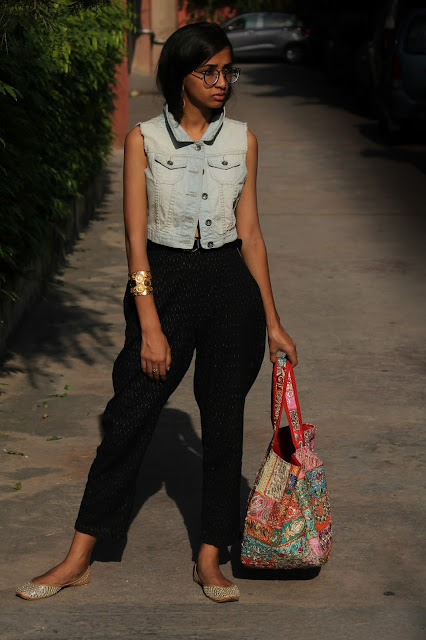 Since the last day of the fashion week was all spectacular & vivid, I decided to go for an outfit with a mix of both. I picked this aesthetically pleasing, handpainted shirt dress and paired it with these dusty rose sneakers. Dusty rose is my new favorite by the way, definitely a must have! To add a fusion vibe to the look I decided to sport a sleek low bun and wore a pair of beautifully crafted Peacock earrings with tiny pearl drops. Added a tint of blue & green on the eyes, before heading out! I decided to sport the Pantone colors of 2016 on the day 4 at the Amazon India Fashion Week. 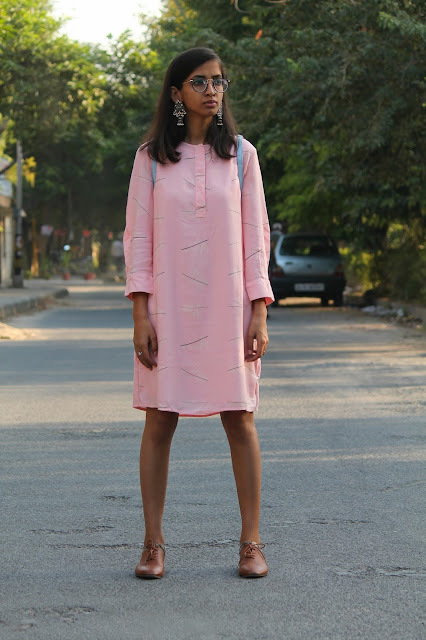 I picked this beautiful kurta dress in rose quartz and added chunky oxidised silver earrings along with a peacock engraved elaborated nosepin & anklets. This mini backpack has by far been my most quick, pocket friendly purchase till date. Rs 350, can you beat that? So I embellished it with multiple brooches to make it the statement piece of the look and finally a pair of brown oxfords to complete the attire. Effortlessly chic & comfortable!